The East coast of Africa and in particular Kenya, is home to some of the best Big Game Fishing world wide. 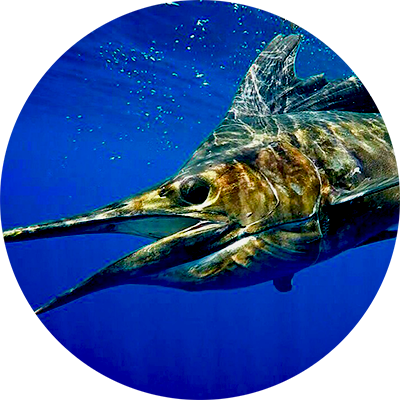 Blue, Black, Striped Marlin, Broadbill Swordfish, Sailfish and Spearfish are all found offshore with many Billfish Slams recorded each season. Game fishing is also world class with Giant Trevallys, Wahoo, King Mackerel, Rainbow Runner, Dorado, Amberjack, Yellowfin Tuna and more. Typically the season begins in early July with a good run of small Black Marlin on the inshore reefs along with many gamefish. Fishing seasons are governed by 2 major winds, The Kusi & the Kaskazi. The Kusi, or Southeast monsoon, blows from late March until November. The Kaskazi typically starts mid-December, when the winds change to the Northeast, creating warmer, calmer conditions. Sailfish season typically runs from September to January. Almost the entire coast produces good numbers of Sailfish but the area off Malindi, just north of Watamu, is one of the very best.By Christmas, Striped Marlin start to arrive, with their numbers peaking between January and March. 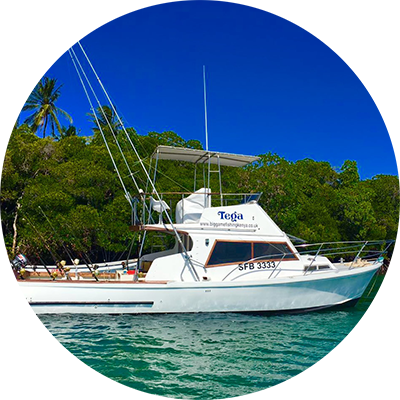 The deep blue water offshore around the Rips and the underwater mountains off Watamu mark the hottest spots, with most Stripes caught trolling lures or large strip baits. 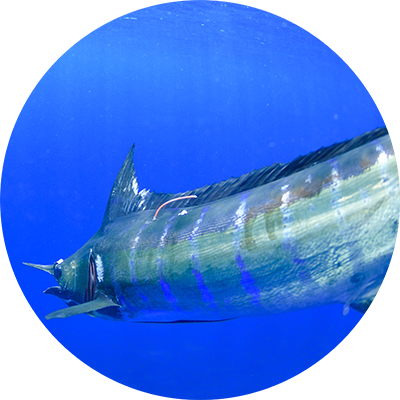 Reasonable numbers of Blues are often mixed in with the Striped marlin. Interestingly the last 2 seasons have seen boats catching a lot more Blues than Stripes out there. Kenya has seen 2 grander Blues with the largest at 1248 pounds caught in March 1995 and one of 1062 pounds caught in March 2014. September through to December seem to be the most productive months to target Broadbill Swordfish with both daytime and night time methods working well. Once the wind switches to the North around December, night fishing becomes a little uncomfortable. One simply cannot beat Kenya in terms of value for money as a travel destination with red hot fishing, the amazing wildlife of her parks and reserves, and the warmth and friendliness of her people. 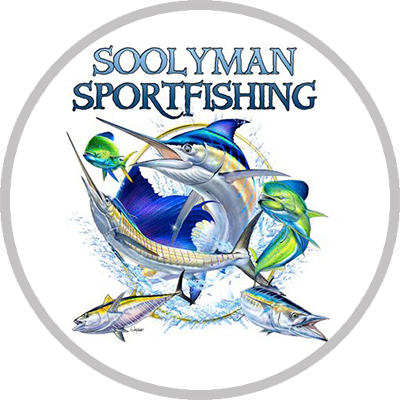 Soolyman Sportfishing welcomes Fly fisherman onboard and we support both TBF The Billfish Foundation and ABF African Billfish Foundation.